Why Should I Have Insurance for Film Production? Film producers have a lot on their plate. From script selection and casting to directing and editing, filmmaking can be a long and complex process that leaves little time for other tasks. Due to this time commitment, many film producers fail to take the time to properly protect their project from potential lawsuits. 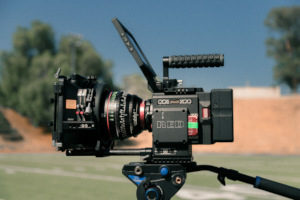 Filmmaking leaves production companies at risk for a wide range of liability issues ranging from personal injuries to theft of costly props and equipment. Acquiring insurance for film production is vital to prevent minor mistakes and setbacks from negatively impacting your production. There are several types of insurance for film production based on various factors relating to your production company and type of film you are making. These include short-term, long-term, and DICE annual policies. If you want insurance for just a single project, short-term production insurance is a great option. You can find short-term policies for all types of budgets, making it a great option for both amateur filmmakers and established production companies alike. Short-term policies cover a wide range of productions, such as films, TV shows, and music videos. If you plan to shoot multiple times throughout the course of the year, a long-term film production insurance policy may be the better option. 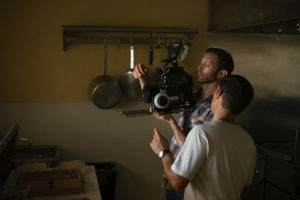 Long-term policies are best suited for active production companies that own or rent out costly filmmaking equipment. This type of policy is suitable for all types of films, including independent films. DICE (documentaries, industrial, commercials, and education) is another type of film production insurance that spans a one year period before renewal is required. DICE insurance policies can cover multiple projects at once, but there are some limitations. For example, DICE productions must be shot within the U.S. or Canada. General liability insurance is an essential policy that covers property damage, bodily injury, and advertising damage claims made against your business. It can also be used to cover the costs of a legal team, witness and evidence fees, and any costs related to judgments or settlements. Inland marine insurance is designed to protect property that is damaged in transit, such as cargo and other moveable equipment. With commercial automobile insurance, film producers are covered for any physical damage to their or another driver’s vehicle following an accident. Some policies also cover associated medical expenses and legal fees. Workers compensation insurance provides wage and medical benefits to crew members who are injured or become ill at work. Coverage for workers compensation is mandated by each state. Excess liability insurance provides additional coverage if your primary insurance plan does not cover the entire cost of the liability. With errors & omissions insurance, film producers and crew members are protected against claims made by clients for negligent actions or inadequate work. Travel accident insurance is a special type of travel insurance plan that acts similar to life insurance by protecting against accidental death and dismemberment while traveling. These benefits are paid even if the traveler had another life insurance policy. Cyber liability insurance policies protect businesses from data breaches and other types of cybercrimes that could possibly cause financial losses. Film production insurance provides film producers with a number of key benefits. From a legal aspect, film production policies are required by some local municipalities and states. You may also need film production insurance before shooting at certain locations based on agreements with property owners. Film production insurance also covers you against costly losses and damages to tangible assets, such as lighting, video, and other production equipment. It also protects your crew as well as third party individuals who may become injured on set. If you are working on a production project without adequate insurance, consider acquiring a new policy. Insurance for film production is a smart way to protect your interests and avoid the consequences of a lawsuit. For more information about film production insurance or to obtain a policy, contact the entertainment insurance brokers at MFE Insurance today.